BEAUTIFUL maintenance-free villa in the FABULOUS Resort Style Community of Mirabay. When you enter the home from the front porch, you come in to an open ELEGANT living room adjacent to the formal dining room. To the left are 2 bedrooms and a full bathroom. This split floor plan has a LUXURIOUS master suite and on-suite which includes a garden tub, separate shower, dual vanity, water closet, and walk-in closet. The large kitchen and eat in area has 42" maple cabinetry and a large center island with breakfast bar open to the great room. The SPACIOUS screened in lanai off the great room is perfect for outdoor entertaining. This Bright open floor plan has 12 foot ceilings, tray ceilings, and upgraded tiles throughout the home except for the bedrooms. This gated waterfront community offers remarkable resort-style amenities with a clubhouse, fitness center, aerobics room with fitness classes, spa, banquet rooms, playgrounds, tennis and basketball courts. The community heated zero entry pool is open all year round and features a waterslide and lap lanes. The Galley Caf serves food and drinks pool side. Residents can sign out kayaks, sailboats, or paddle boards at the fully staffed nautical shop Outfitters. MiraBay offers many different community clubs for all types of interests. Mirabay has a full calendar of events all year round. 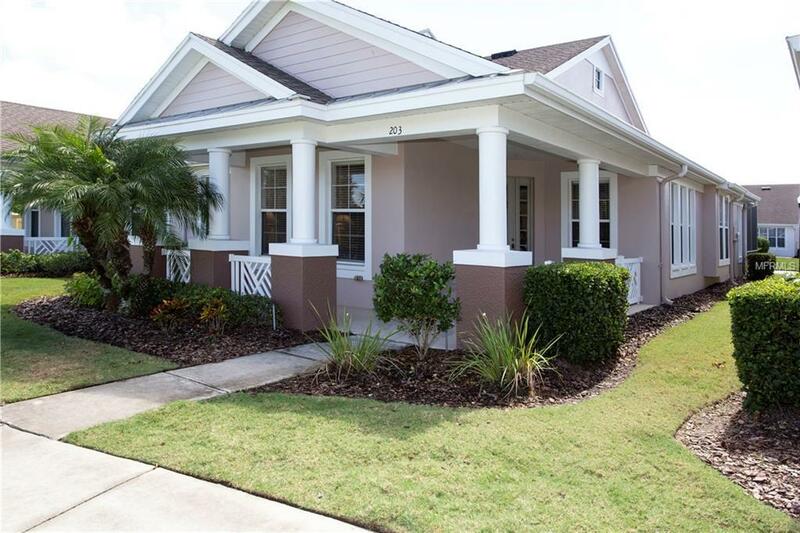 This location offers easy access to major highways, schools, shopping and dining, several beaches, MacDill AFB and Tampa International Airport.